Optometric Vision Training, sometimes called vision therapy, is that part of eye care devoted to developing, improving, and enhancing people's vision performance. Developing visual skills includes learning to use both eyes together effectively, and has proven to be a remarkably effective tool in helping people with learning related visual problems. 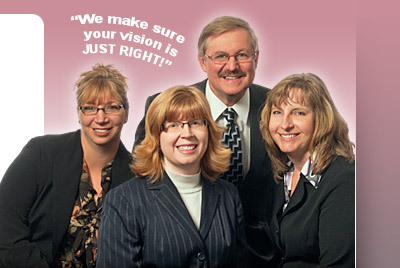 Vision Development Center is located at 150 East Main Street, Leola (in the lower level of the Leola Family Health Center). Dr. Seiderman works closely with a psychologist and 5 professional vision therapists to give each patient personalized, individual therapy. 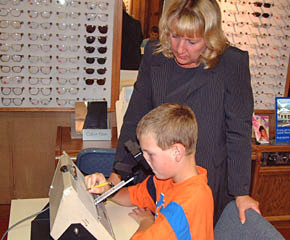 A multi-disciplinary approach takes into account all of the factors including visual perception, auditory proficiency, language skills, psychology, and emotional aspects, neurological processes, social interactions, and educational achievement in arriving at the best approach to overcome learning/reading disabilities and attention deficit disorder. 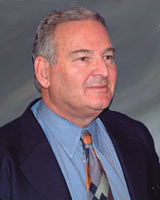 Arthur S. Seiderman, O.D., M.A., F.A.A.O., F.C.O.V.D. Dr. Arthur S. Seiderman is a Doctor of Optometry, who has earned a Masters Degree in Psychology and is a graduate of the Gesell Institute of Child Development (Yale University). He is the immediate past president of the Disabled Reader Special Interest Group of the International Reading Association, as well as, the President of Multidisciplinary Academy of Clinical Education. Dr. Seiderman's work has been translated into five languages and he has lectured throughout the United States, Canada and Europe. He has been published widely in professional journals. As president and co-founder of the Sports Vision Center of Philadelphia (inside Veterans Stadium), he has served as a consultant to the Philadelphia Flyers (NHL), Philadelphia Stars (USFL), United States Olympic teams and numerous other professional college and high school teams. He is well known for his work with Bobby Clark, Pete Peeters, Pelle Lindbergh, Mary Lou Retton, Tim Mayotte, Mike Schmidt and others. Dr. Seiderman's book, "The Athletic Eye", published by Hearst/William Morrow, was the first major book ever written on the subject of vision and the athlete and has been translated into a Japanese version by Taishukan Publishing in Tokyo. He has co-authored a new book, "20/20 Is Not Enough", published by Alfred Knopf. A fellow of the American Academy of Optometry, as well as a fellow of The College in Vision Development, where he served on the Board of Directors, he has taught graduate courses in Learning Disabilities and Diagnosis of Education Disorders at Penn State University Ogontz Campus for many years. Dr. Seiderman serves on the Editorial Board of the Journal of Learning Disabilities.